Antrim's preparations for the forthcoming Ulster Senior Football Championship have been hit by the loss of three key players from the squad. CJ McGourty, Michael Pollock and Chris Kerr, all from dominant Antrim club champions St Gall's, are reported to have quit Liam Bradley's panel. Antrim endured a poor League Division Four campaign, winning just two games. They play Fermanagh in an Ulster championship quarter-final on 1 June in Brewster Park. The Irish News reports that the trio have walked away from the Saffrons panel due to a breakdown in communication with manager Liam Bradley. 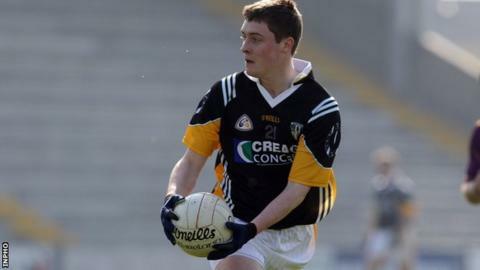 McGourty was Antrim's top scorer in Division Four with 26 points from only four starts. The 2010 All-Ireland club winner's inter county career has been blighted by injuries and he was dropped by Bradley during his first spell in charge in 2009 and was again overlooked in 2012. The talented corner forward was not part of Frank Dawson's Antrim squad in 2013 but was recalled by Bradley when he took over again at the start of this season. McGourty's St Gall's team mate Michael Pollock played in all seven League games while Chris Kerr is regarded as the county's number one goalkeeper.